Use a text editor to edit the "skrimish.ini" in your "..\profiles\profilename"
Example: Change the number "10000" to the desired amount of credits. To play the secret Scrin campaign, finish both the GDI and Nod campaigns. This will unlock the Scrin campaign of four missions. Successfully complete the GDI mission "Washington DC" in Act. choose to play as NOD. To play as GDI again, hold G and click your army. Note: This also can be done with the CPU's choice. Use the following attack combinations in Skirmish missions. Ox Transports to carry the tanks to the entry of your enemy's base. you can have without the Tiberium Silos. When it asks you to build a Tiberium Silo. every time you do this. not possible to place buildings within a thunderstorm produced by the Storm Tower. you want next to it (for example, another Storm Tower). This strategy will help to improve your base defense. and start to build another one. Make sure you have placed your second Refinery. production and speed of rush. units you want to detect stealth, and drop a pod on em. The pod will detect stealth, and your unit will react. Simple as that. now able to deploy Nod and Scrin units, making assaulting the GDI bases easier. Entry Location: On the final level. use the Shock Trooper Drop pods to bolster the anti-infantry capabilities. This is the mission where you don't have enough power to activate all buildings. First off, power down the Barracks so you have enough power for all ground defenses. Guardian Cannons and use the surplus power to activate the Barracks and the AA Guns. map to prevent Militant Rocket Squads from garrisoning the buildings on your way back. * impossable to ground units which means Mammoths are out of the question. * heavily defended by SAM Turrets so attacking with Orcas is suicide. to the ground, starting with the Air Towers. Hands of Nod at the east entrance. Both entrances have their own Air Towers, too. 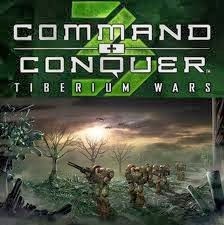 * Make a backup of the "ProfileData.ini" file located in "Documents and Settings[USERNAME]"
Application DataCommand & Conquer 3 Tiberium WarsProfiles[PROFILE NAME]. On Windows Vista this file will most likely be in a different location. Do a search for the file 'ProfileData.ini'. * Overwrite the "ProfileData.ini" file with the one included in this archive. numbers to '9'. There should be 16 numbers total. * Load the game. The Scrin campaign should now be playable.